I would say a thoughtful compliment & is a much greater forum gift then being given multiple worthless tokens by creators who think spamming them in this manner will help bootstrap them. I got the idea from Dan actually. I'm not spamming and I'm not trying to bootstrap anything. I'm not trying to make money off of UIA's lol. That's ridiculous. I did give tips to others on how they could. I'm freely giving my UIA's away to people in the BitShares community and advertising Sharebits, which is built on the BitShares platform and invested in by people in this Community. If people want to buy a UIA, that's their business and they're pretty damn cheap. But if they waited long enough they'd probably end up with plenty for free. I think the bot is running stable and testing should be over soon. 1- Whats a security code, what daoes it do and how do get it ? 2- How do I connect it witm my forum account? 3- Is ıt possıble to withdraw the same funds previously deposited into the account. in order to withdraw, you need a security code that's messaged to your forum name and is proof that you're actually using sharebits. you mean you don't receive the security code? [member=40140]hybridd[/member] can you please help bitacer out? Just a sec I got it , my bad . Just because there's a poll doesn't mean it has to happen. At least one is not over-dramatising. Consider this as an indicator to change the design. As for "over dramatizing" bro...let me just post my comment to you via pm before this started apparently blowing up. Since you deemed in unimportant to even respond to my pm much less change the post accordingly, you have forced my hand on this [member=31]fav[/member]. I'm not lobbying against the bot, it's just that many people are complaining about how its run currently. "Here are the Pros as I see it"
"Here are the Cons as I see it"
Then I can agree you are not lobbying against it. However, your first post in that thread comes across as you are lobbying against it...and it is pretty apparent because I was notified by others who were concerned you were. Or you have an agenda. I noticed you were plenty busy commenting elsewhere so it isn't like you were not on the forums and I can pretty much guarantee you saw it. Hilariously because you biased the poll (not to mention naming it completely incorrectly for your "stated purposes" by telling everyone what you thought and FAILING to even cover the good aspects (aka pros and cons? ), when I first saw it...it looked pretty damned certain that the bot was dead. It was 17 for and 3 against. Then I spoke up and began protecting all we have worked so hard for to show people what you refused to show even after I asked you to. Now that you can see because I fought back and showed people another side, your poll has failed at destroying it. 1) Post a thread asking if people are having issues with the bot in its current iteration (you know...because projects should go through it and constantly aim to improve based on user feedback). THEN you could have compiled alllllll those questions and concerns and put them in a succinct list and posted a poll asking if these should be changed or fixed in some way...and ask for feedback as to HOW. 2) Go to the following open thread and post comments and concerns there. The frustration I feel has nothing to do with the bot...and everything to do with how you approached it (and ignored my pleas to change the context to provide something closer to a actual representative dataset). Also, I am beginning to get frustrated that some community members seem to think they have a grasp on what is valuable and what isn't. I have news for them...none of you (including myself) know if bts is even valuable. It gains value from our willingness to never give up on it and continue improving until it does work closely to how test users would like. I completely agree with [member=8747]Tuck Fheman[/member] that this is essentially the exact same thing as halting freedom of speech on the forums. Yes I agree we can search for a means by which we can fix the spam issue (this has never been a point of contention for me). However none of us has a place to tell someone else what tokens they can and can't make and share in this ecosystem--and if that happens we have lost the primary purpose for why we started this quest for financial freedom in the first place and should ask ourselves if we are any better than the corrupt players who we are trying to disintermediate. And then...of course, fav...there is you openly lying to our community to tell them all that the bot is out of Open Beta. Did you ask me? Did you ask [member=38688]kuro112[/member]? Did you ask [member=32130]Freebieservers[/member] or maybe [member=40140]hybridd[/member] told you? Perhaps ronny [member=23432]ccedk[/member] did? If not....I'd love if you would take your position within this community more seriously as it is one with a GREAT DEAL of power. And we all know what it means to have great power...great responsibility. I wonder...would you disintermediate yourself if you had to? Just for fun, I'll give you guys the other pm's I sent [member=31]fav[/member] to ensure it didn't reach this level. Again he did not respond other than the single time you saw his response above. what is the problem you are having these days with the bot and why are you actively trying to get people to vote for us not to use it? Apparently [member=31]fav[/member] wants to make me out to be overly dramatic, however it seems he had no problem allowing the provocation to continue. Then here is yet another where I specifically ask for CONSTRUCTIVE criticism and to connect to those who have the problems. who is complaining btw? can you have them reach out to me with constructive ideas so I can help? 2) If they do, why don't they offer constructive feedback openly in the forums or approach me? Instead they approached fav (if they exist--which I still have no proof of, btw) and ironically it ended up with a poll that obviously biased the results and based it off of a very important lie---that the Open Beta was over. Don't throw the childish or overly dramatic card at me buddy. To most anyone who reads through this entire thread and is capable of empathy, it will be blatantly apparent why this is frustrating. Because it was you not me, who was childish. May I ask, btw, how you became moderator? Did you just volunteer or did you get a bunch of votes in? I question this because I'm beginning to see a new side of you that I didn't know existed before... and it concerns me. I wonder if you are going to be willing to lie about other projects in the future that might make BitShares take off...and considering you promote other tokens who are competitors to bitshares, it is a hard pill to swallow that it isn't possible they would approach you at key points to destroy projects (and pay you behind the scenes to do so). @all Moderators should be paid a salary here on these forums and should also should be voted into power, having a specific amount of time before having to be voted back in. If this is not how it has been happening (which I can be pretty certain as a mod of the beyond bitcoin section that it isn't) ...we should consider that instead of putting people down for making their own tokens that others might not think are valuable. Just an idea I had for some middle ground, it might be better if tipping was confined to a single thread. Tips and confirmations all in one spot, and only forum tips generated in that thread would actually work. Those who want to tip because someone said something significant, can quote or post a link to the comment next to the tip code in the tipping thread. This would be good for a few reasons, but in the very least, when I click 'Show unread posts since last visit', I wouldn't be alerted to a tip confirmation post. Well after going through this thread.. this was what was going through my mind until [member=4524]mint chocolate chip[/member] here posted it (great minds). If you want to maintain the public network effect and not make it spam the forum, simply push all those tip bot messages to a single thread of its own. Anybody who comes around can just as easily see that thread and wonder what its about and look into it yada yada. This would eliminate which I think the real sore point is for most, the messages disrupting discussion threads. Like all tools, it should be used with wisdom. You can use a screw driver to build something, or plunge it through someones skull and kill them. Like all tools, it should be used with wisdom. Wish this would have been the OP of this thread...imagine how beautifully it would have come across had [member=31]fav[/member] gone this route. It's pretty obvious the tip bot has value. And I thank Fuzzy for all of his efforts to make it happen. Of course, we do need to be careful of the spam component. As far as that goes, there have been some good ideas posted on this thread and I would propose some hybrid of what has been suggested. For example, there is viral marketing value in posting the confirmations for everyone to see in the same forum each tips is initiated from. But the volume of these messages would be enough to annoy some people. So I would propose having a value threshold a) below which the tip confirmation would be sent as a PM and/or posted on a dedicated tipping thread, and b) above which the confirmation would be displayed on the same thread. I don't know what that threshold should be. But it should be high enough to keep the volume well below nuisance level yet still have a viral, curiosity-invoking factor. As for any suggestion that the initiating tip message itself should be limited to a dedicated thread, that is as preposterous as saying people cannot give a except in a dedicated thread. You can't stop people from typing what they want to type (within limits of decency, of course). P.S. Whoever said fuzzy has an ego must be off his rocker. I've never witnessed fuzzy come across like that. The fact that there are people complaining about the bot means there are people using it. And this whole debate is about the misuse of the bot and not the bot itself. 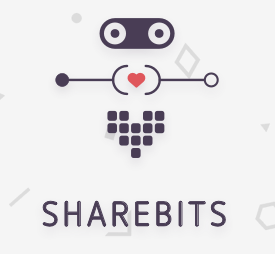 Sharebits allows people to share their LOVE for one another. It's awesome. Fuzzy, you are doing a good job. Keep it up! Btw. This should applies to all project's UI on Bitshares, "The less clicks i have to do to get something done the better. K.I.S.S."